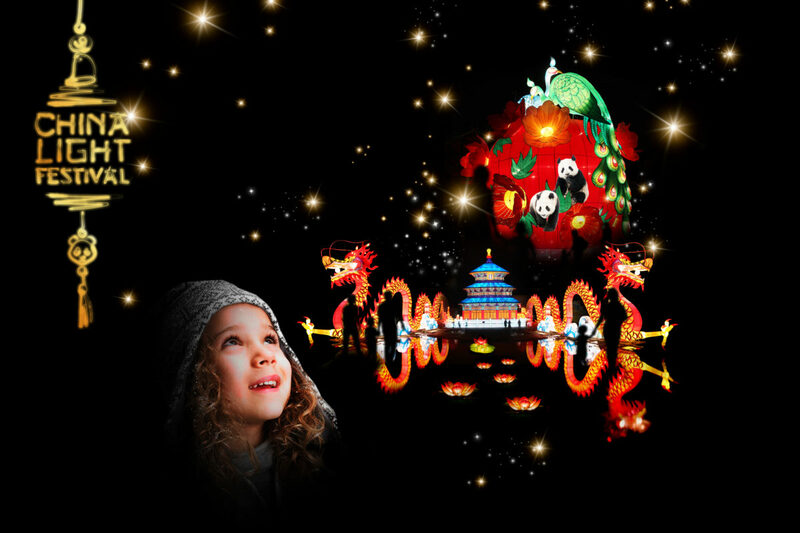 During the Christmas holidays and the weekends in January, Ouwehands Dierenpark Rhenen will be transformed into Ouwehands Winterland. 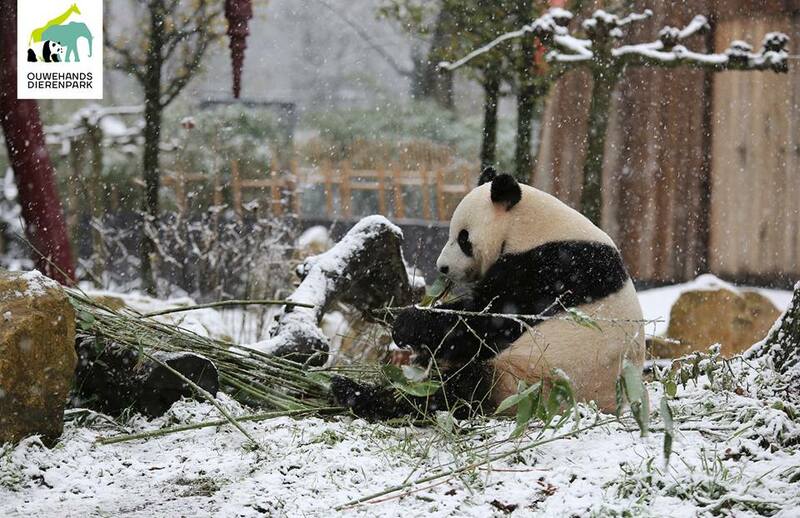 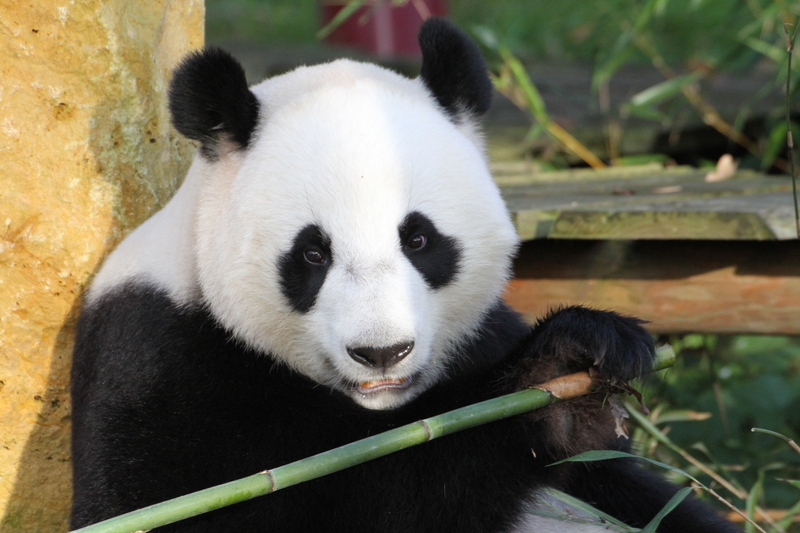 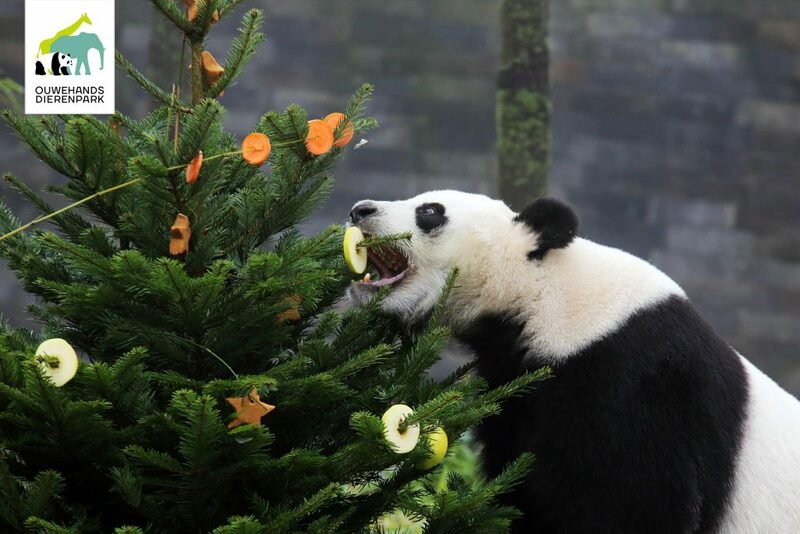 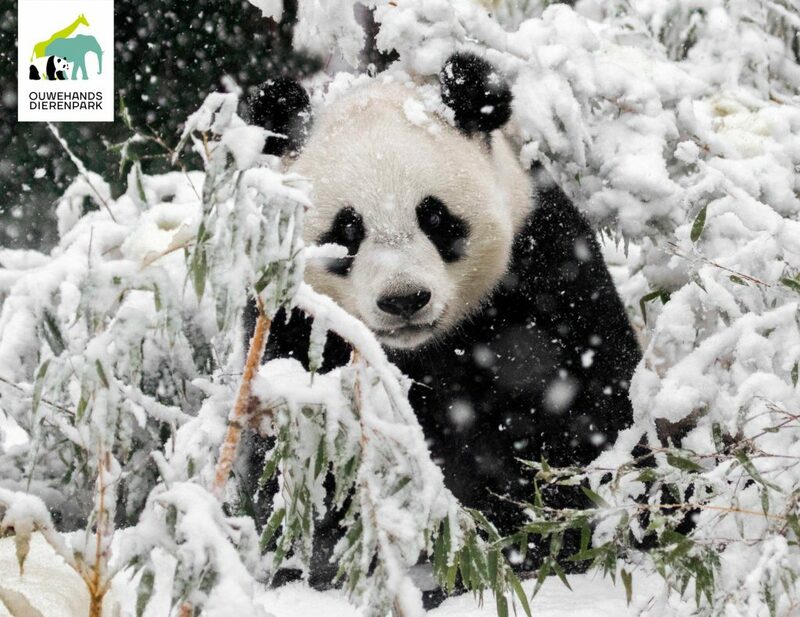 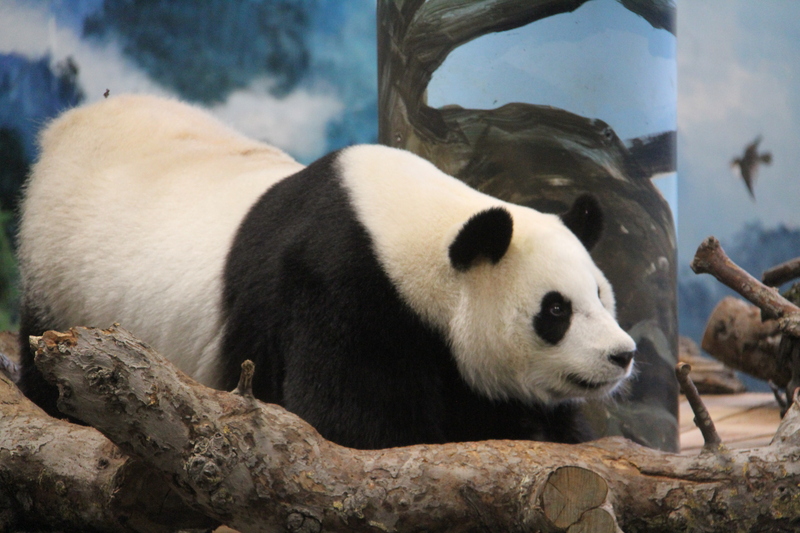 The dutch panda pair Wu Wen & Xing Ya were treated to some Christmas trees with Winter enrichment snacks on December 21, 2017. 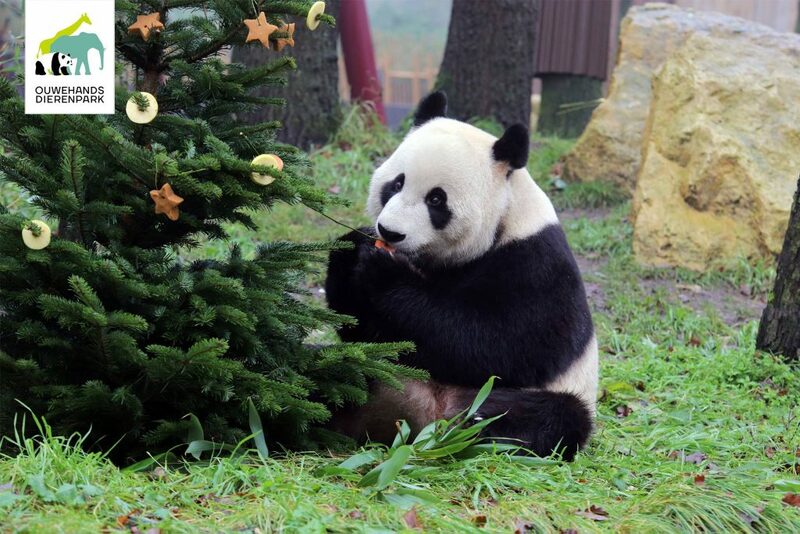 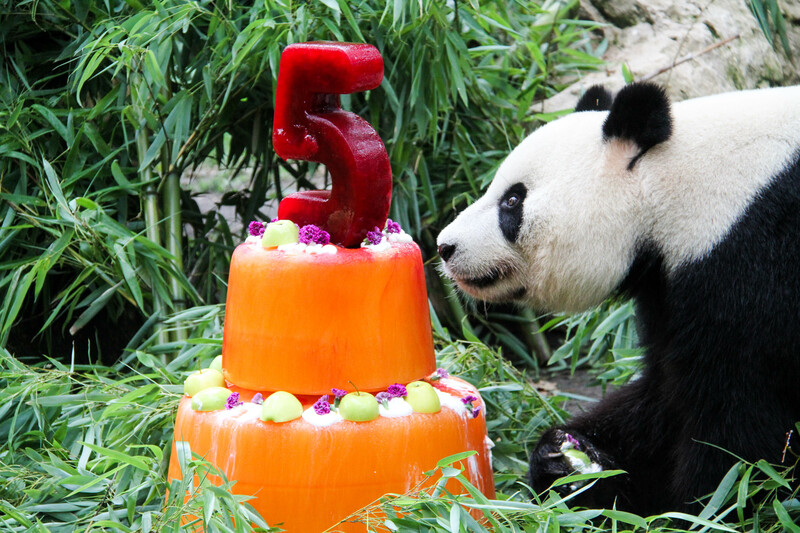 The Christmas tree was decorated with bamboo, carrots, apple and pandacake in shapes of Christmas decorations.